For the first time ever, CCW is introducing a CX Innovation Lab experience. TTEC, a leader in customer experience design and delivery, is excited to welcome you to our new Customer Experience Innovation Lab located at our Las Vegas Customer Engagement Center. Changes in CX are occurring so rapidly that companies are often struggling to keep up. OurCX Innovation lab is designed as place to test and demonstrate the latest technologies in customer experience including: omnichannel, AI, automation, analytics, service to sales, training and other service models. The TTEC CX Innovation Lab leverages the cloud to provision and deliver demonstrations in real-time. 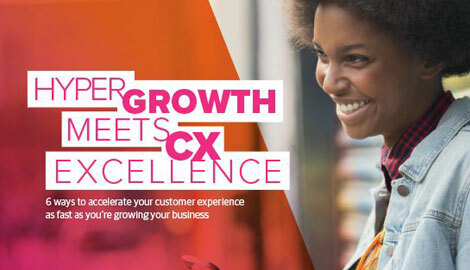 Discover how to make CX easier, more personal and completely seamless. TTEC (formerly known as TeleTech) is a global customer experience company that designs, builds and operates captivating omnichannel customer experiences. With more than 56,000 employees and 97 customer engagement centers around the world, we work with many of the most innovative brands on the planet acquire, serve, retain, grow and protect their customer relationships. We combine service design, strategic consulting, technology platforms and operations excellence to deliver experiences that captivate customers and dramatically improve the bottom line.